Ninja, Myth, and other celebrities will be competing. Epic Games revealed its plans yesterday to provide $100 million in prize pool money for the start of Fortnite: Battle Royale esports. Today, a different tournament was unveiled that won’t draw from the $100 million prize pool. Epic will host a Fortnite Celebrity Pro-Am tournament at E3 2018, the developer announced earlier today. Fifty pros and celebrities with join forces starting at 5:30pm CT on Tuesday, June 12 to fight for $3 million in charity prize money—the winning duo will earn $1 million to donate to the charity of their choice. Some of the biggest personalities in Fortnite will be participating in the charity event, including Tyler “Ninja” Blevins and TSM’s Ali “Myth” Kabbani. Ninja will be competing alongside music producer Marshmello, while Myth is teaming up with NBA all-star Paul George. Other Twitch streamers and YouTubers, such as “Pokimane,” Mark “Markiplier” Fischbach, and Corentin “Gotaga” Houssein, will also be competing in the tournament. Pokimane’s duo will be rapper Desiigner, Markiplier will play with actor and comedian Joel McHale, and Gotaga will fight for Victory Royales alongside mixed martial artist Demetrious Johnson. Epic will also reveal more pro player and celebrity pairs heading into the charity tournament. Tickets to watch the event cost $10, but are only available for purchase through an email link sent to players from the Los Angeles area—and only 3,000 tickets will be sold for the Pro-Am tournament. 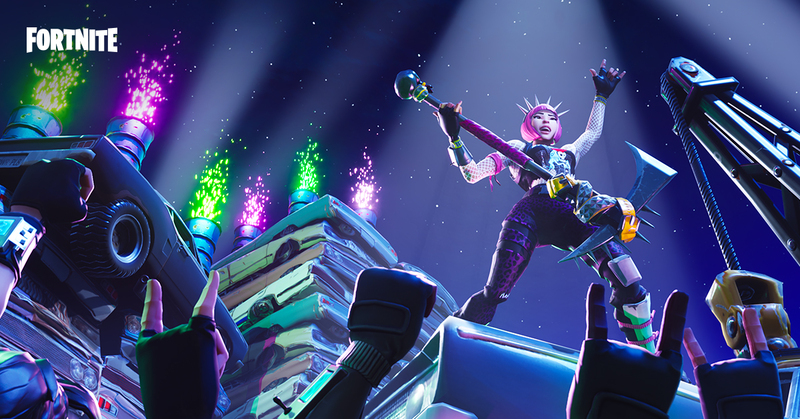 After the Fortnite Celebrity Pro-Am, Epic plans to host an invite-only Party Royale later that night. Anyone attending E3 can visit the official Fortnite booth at the LA Convention Center for a chance to get a ticket to the party (if you’re 18 or older). It’s an exciting time to be a fan of Fortnite, and this charity event will likely offer some crazy plays and Victory Royales in just a few weeks.